In a post today to reveal another member of the Series 5 Android collectibles set, Dead Zebra announced that the new box is finally arriving at “respective destinations” and should be available at specialty retailers within a week or two. Also, if you want to buy the set directly from DZ, they should have their own up in the Dead Zebra shop next week. The official launch details will be announced soon, but next week is next week. Collectors, get your Bitcoin cash ready. 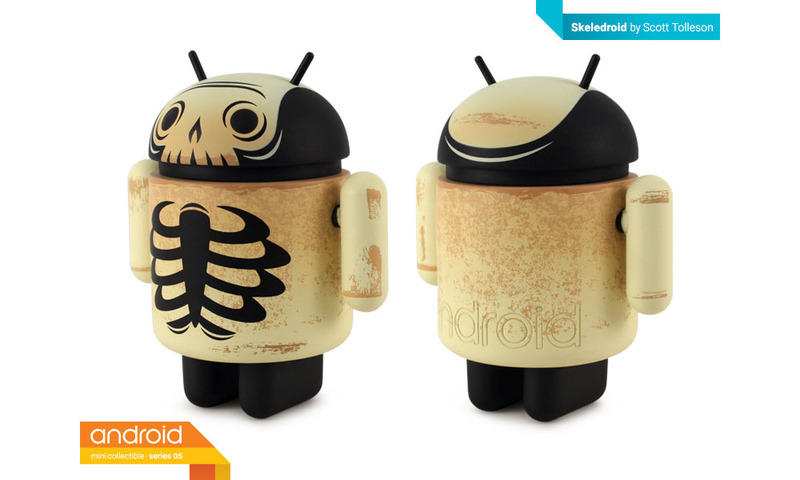 Oh, and that Skeledroid collectible was done by the one and only Scott Tolleson.